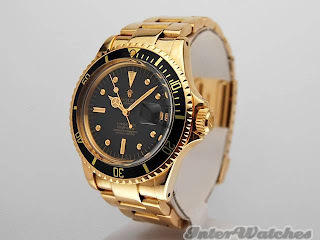 Former property of Theo Mavrostomos, Hydra X team member, world’s deepest dive record holder Rolex, Oyster Perpetual Date, COMEX, Sea Dweller 4000ft=1220m.Made in the late 1990’s, sold in 1998. Theo Mavrostomos is one of Comex’s most renowned divers. Mavrostomos is known as the master of the underwater welder. His greatest accomplishment came when in November of 1992, under hyperbaric chamber conditions, he broke the world diving saturation record in a dive that took 43 days to be completed and he reached an incredible depth of 701 meters during Hydra 10 experiments carried out by Comex. Pan American Airways was the first airline to make intercontinental flights with the 707 aircraft. Pan- American was worried about the effect of “Jet-Lag” on its pilots to commission a research and as a result, the company asked Rolex to develop a watch that could keep their pilots knowing their home time and the local time to which they had reached. In remarkably short order the task force produced the “G.M.T. Master” (model 6542), named after Greenwich Mean Time, the world’s standard time. The GMT Master featured a 1035 calibre movement upgraded with the addition of a supplementary 24 hour driving wheel. This new movement was called calibre 1065 powered now four hands where the new hand was complemented by a rotable 24 hour bezel. In 1976, approximately, the GMT Master started featuring the hacking second’s movement and a few years later the “quickset” attribute was also added. Finally, the sapphire crystal was added. The second and newest model was the GMT-Master II, model 16710, featuring the new calibre 3085 movement which allowed the hour hand to be moved forward and backwards in precise one hour jumps without losing the precise accuracy which was usually the reason the watch was bought in the first place. In the 50s Rolex undertook the challenge of submitting its watches to the Royal Observatory at Kew for chronometer testing. Almost all of the tested watches passed and received the coveted Kew “A” certificates and the distinction of “especially good results” meaning that they produced rating in the top 20% of the accuracy needed to obtain a Kew “A” certificate. It was confirmed that the daily variation was less than half a second. While the Submariner was capable of working at the depths the divers did, the long exposure to high pressures had not been anticipated by its designers. The Subamriner was designed to be waterproof and airtight and to survive the pressures of the deep water. Rolex and Comex (COmpagnie Maritime d’EXpertise) started working together in order to design a watch that would be efficient enough to work properly under the conditions the industrial deep-sea diving as Comex is the world leader in sub-sea engineering and in manned and unmanned sub-sea interventions, scoured all the seas on earth and worked at depths of over 300 meters. 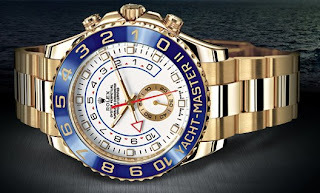 Although both companies working together first took one normal Submariner and modified it till they reached the perfect model: “The Submariner 2000 Sea Dweller”. The divers require the best equipment that is available because precision and perfection according to watch quality can mean the difference between life and death. The Sea Dweller differs from a regular Submariner by being much thicker and heavier. It has no “Cyclops” date lens because the glass because of the glass thickness placing the lens at a greater distance from the date disc. According to its bracelet it is machined from solid metal. The advantage of the Sea Dweller over a Submariner is its ability to undergo repeated compression/decompression cycles in a helium-oxygen atmosphere. 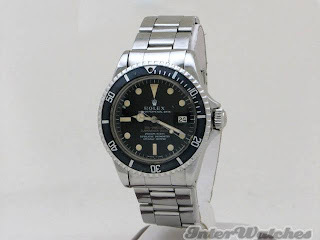 In 1954 Basel, Rolex presented the Submariner model, Rolex pride. The model number 6204 watch was waterproof to a more realistic 200 meters (or 660 feet). It was sold as the watch that was the diver’s friend. When the development of the SCUBA (Self Contained Underwater Breathing Apparatus) diving as a sport really began to take off toward the end of the fifties, a reliable watch was needed as much as a reliable oxygen tank. Rolex developed the Submariner 6204, which had simple parallel hands and it had no protective shoulders by the winding crown and the rotating bezel had only five minute markers. Two years later, this model was replaced by two Submariner models. Theses ones were: the 6538 model (waterproof to 660 feet) and the 6536 model (waterproof only to 330 feet), commonly known by collectors as the “James Bond” models. 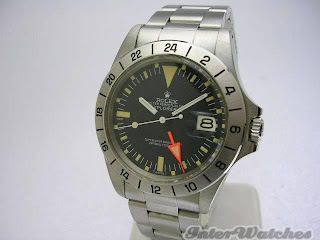 Then, although the model was redefined it kept the same model number and it introduced a more robust case with bezel markings for the first 15 minutes and a red triangle at the 12 position. Besides, it featured a larger “Triplock” style crown which had the “Brevette” sign under the crown or patented around the circumference. The watch had an officially certified chronometer powered by the new 1030 movement. When model 5512 was launched in 1959, the new case featured the protective shoulders which defended the weakest part of the watch from inadvertent knocks and harms underwater. The new Submariner was launched on the back of Jacques Piccard’s latest adventure where he dove into a new record depth of 25, 798 feet (10.916 meters). 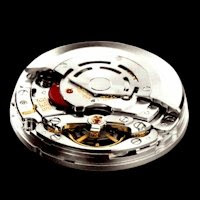 The watch was exposed to pressures of over seven tons per square inch, the watch was found in perfect conditions with no evidence of moisture inside the case. In 1965, when the 1565 calibre movement was fitted to the Submariner divers had the joy of combining the benefits of both chronometers movements and date function in one watch. The new model’s number was: 1680. 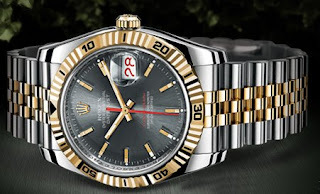 With black dial, large luminous triangle marker at 12 and luminous Arabic numerals for the other quarters, The Explorer is one of the most recognizable Rolex watch together with the Datejust. 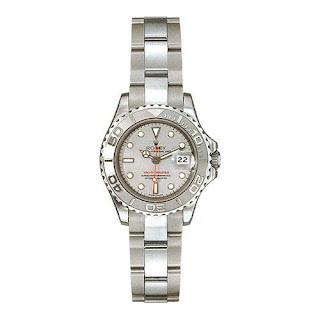 An explorer watch is the one that has its dial described. It was first designed and made in honor of Edmund Hilary and Tenzing Norgay, the first to reach the summit of Everest wearing Rolex watches. The Explorer was design for explorers and so it had a high visibility dial, an extra strong case and, under request, they could even be lubricated with a special oil which could withstand temperatures between -20ºC and + 40 ºC without changes in its viscosity. 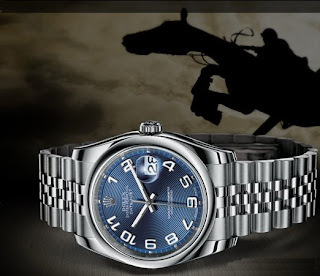 The Rolex Explorer line was designed with extremely challenging conditions in mind. 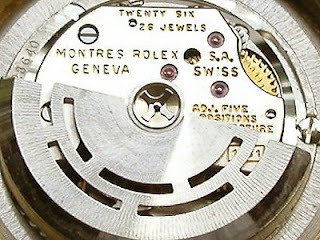 This Rolex watch line was the one that received first the triangle marker at the top of the dial. 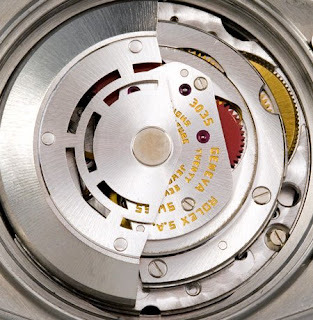 In 1942, with the introduction of the bubbleback powered by a perpetual version of the classic 10 – 1/2”’ Hunter, Rolex made one of the most significant movements of its history. This new model had two additions: a sweep seconds hand and a date disc visible though and aperture in the dial at 3. The first Datejust was a seminal one, a model and a design that would last for the next 50 years. This model is still the most beautiful of the Datejusts. Even though the registered name was Ritedate, by the time the watch was presented, it was called “Datejust” and the model was “Jubilee”, applied later to the bracelet. The date function also retained its alternating red and black numbers, presumably to let the wearer know that the date had indeed changed. The only obvious change was when Rolex introduced the Cyclops date magnifier at Basel becoming a signature for the Rolex line. 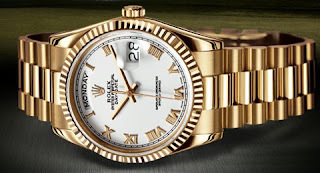 The stainless and gold Datejust was introduced around 1962 and has proven to be one of the most popular models Rolex has ever produced. 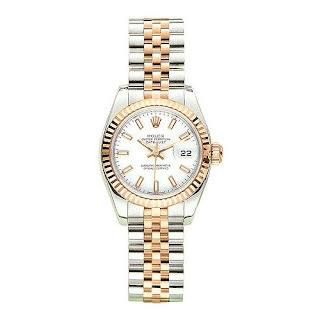 The new “two-tone” look not only fit the times, but also enabled Rolex to increase the margins on a very popular watch. 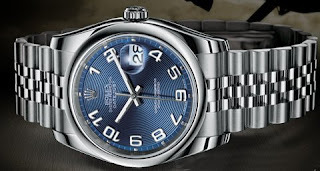 Since the end of the 1980s, all Datejust have been equipped with a “sapphire” crystal. This crystal is sliced out of a lab-grown sapphire with the Cyclops date window cut from a smaller crystal and the applied. In 1930, when sportsmen begun to demand chronographs, Rolex started to fulfill that demand. Seven years later, Rolex catalogue shows for the first time the chronographs wristwatches. 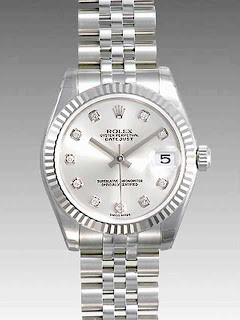 Rolex chose 10- ½” to 14” movements in one button models allowing the customers to time a single continuous event. The demand came not only from racing spectators, but also from anyone whose profession required having an accurate measuring of and exact elapsed time. In the late 30s, the real breakthrough happened as a consequence of the two button configuration making possible for the customers to stop the timing for breaks in the action. The “Zerograph” is one of the most interesting Rolex Chronographs. It was produced in very limited quantities at the end of the 1930s. It had a 10-1/2”’ Hunter sweep seconds movement, it was the first model to feature the Oyster crown. Afterwards, the first Oyster Chronograph was the model 4500. Models: 6232 and 3668 followed model 4500 and the proved to be as unpopular as the first one. The reason: the depths of World War II. After years of making imperceptible and trivial changes, Rolex reached the final watch: The Cosmograph (model 6239), one of the most popular watches ever produced. In the late 1970s, when Rolex introduced the 6263 Cosmograph, the model was the first to have truly waterproofed pushers. The screw down pushers were added because the customers kept trying to operate the push buttons while the watch was underwater so that let water into the movement. Another advantage of the locking buttons was that it also prevented inadvertent operation pushers. Wilsdorf was the visionary man who created an accurate wristwatch that can be compared to the finest contemporary mechanical chronometers around the globe. In 1905, when Wilsdorf and Alfred James Davis created Wilsdorf & Davis they never imagined how important the company would become. At the very beginning, the company was just two businessmen trying to make a living in a hard environment. 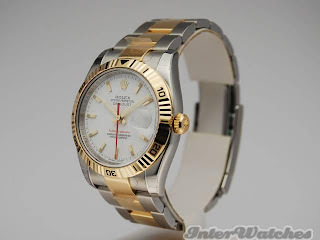 When Wilsdorf registered “Rolex” as the trade mark in Switzerland and began to use the name inside the watches on movements and cases, he then started advertising the name in order to make people asking for the watches by their name: Rolex. In 1914, perfected Rebberg obtained a Kew A certificate for one of their 11”’ movements. The Royal Observatory at Kew (in London) was an outstation of the Royal Observatory at Greenwich, where all the initial work on accurate time keeping had been initiated such as: the search for a method of accuracy finding longitude, the institution of an universal time standard, the development of the first marine chronometer and the establishment of a central facility to test timepieces and certify them were all products of Greenwich. Its principal purpose was to teste marine chronometers, whose accuracy was vital to marine navigation until the 1930’s. The Kew tests were designed to time watches for the Royal Navy would offer to purchase it. Beyond that, based on the chronometer tests at Kew major manufacturers could state that their watches were the most accurate in the world becoming another powerful sales promotion device. 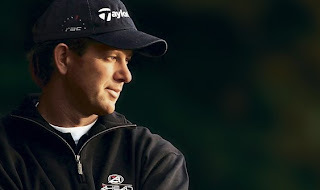 Wilsdorf put Rolex watches through such test. Rolex was the only watch in the world to hold a Kew A certificate, getting to promote the success. In order to avoid hurting the watches badly while they were imported to London, Hans Wilsdorf was finally convinced to move the administrative offices of the company from London to Geneva. Later, when it started exporting to United States of America, Wilsdorf made another astute move. While the European market was sinking as a consequence of the war, the American one was rising from the dust. 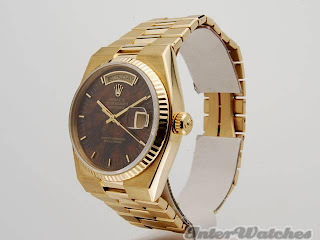 Once again, Rolex was in the right place at the right time.